These are only a few of the services we provide to you and your pet. If you have any questions about the linked information please don't hesitate to call us with your questions. We look forward to serving you! At our hospital, we encourage you to be a part of your pets health care. We invite you to participate in examinations, accompany your pet to the treatment area for sample collection, and stay with your pet during the surgical process when it doesn't interfere with other pets comfort or care. 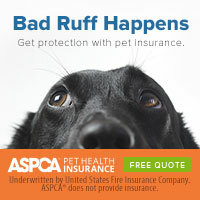 It is our goal to provide you and your pets the highest quality care available. Our health care team treats every patient as if they are their own and we encourage families to ask questions and observe procedures. Our entire staff believes that our job is to educate our patients families so that they can make informed decisions. Our veterinarians and staff believe in spending as much time as possible with each person to answer questions, explain procedures, and make sure that animal owners feel comfortable with our recommendations. We work with you as a team to make informed, logical decisions for your pets healthcare. Our team attends national veterinary conferences, local meetings, and we hold weekly staff training to ensure we stay current on medical procedures and preventative health recommendations. Our team consists of top-notch individuals dedicated to our patients. Most importantly, we have animals of our own that we love dearly. We too, experience disease in our animals and each time we do, it teaches us a bit more about how to make stressful situations just a bit easier on you AND your animals. Please feel free to come in for a tour, call to discuss your pets health, or meet our staff. We love our job and we love helping pets stay happy and healthy!